The MakerLab Milan took place between 12-17 April 2011 as part of the Public Design Festival during the Milan Design Week. At the MakerLab Milan, we provide a focal point for the community to take actions to positively hack their urban environment. 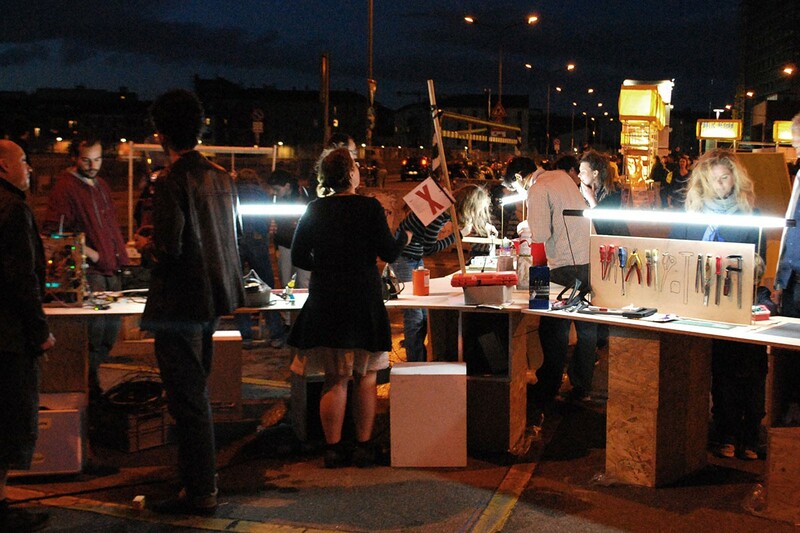 Bringing tools, resources and expertise from Berlin, the MakerLab Milan collaborates directly with different elements of the Milan Maker, Hacker and Public Culture to share skills, ideas and tools with which the community of Milan can engage in a physical dialogue with their public space. Makerlab Milan 2012 How will we un-share the world?